It’s here! Well, it’s been available for almost a week now, but I’m still excited and relieved that the footage is off my hard drives and into the world. I just want to thank everyone who has purchased the film for the support and patience while we brought this project to light over the last year. It’s been quite a journey. It’s been a rough week or so trying to regain some fitness, but I’ve found solace in returning to the outdoors to rekindle my motivation and maintain hope in regaining some serious loss of confidence in my climbing ability. Two weekends ago I took a quick trip down to Tucson, Arizona to teach a PCI Clinic at The Bloc Climbing & Fitness along with Kevin Jorgeson and Alex Johnson. The atypical amount of April snow in Boulder was starting to get me down, so it was nice to venture down to warmer climates. I was also really excited to interact with the community of climbers in Arizona and check out the city a bit. Blowtorching holds to dry them. This is a practice that was largely unknown to me until my trip to Sweden this last September. Here’s a little backstory. I was invited to come climb in Vastervik, Sweden for the International Boulder Meet by the Tourism Bureau. Chasing Winter is a film project that has consumed much of my life for the last 6 months. Together with my girlfriend Mary Mecklenburg and with our good friends Paul Robinson and Alex Kahn, we traveled to South Africa for the months of June, July, and August this past year with the intent of progressing as filmmakers and climbers. 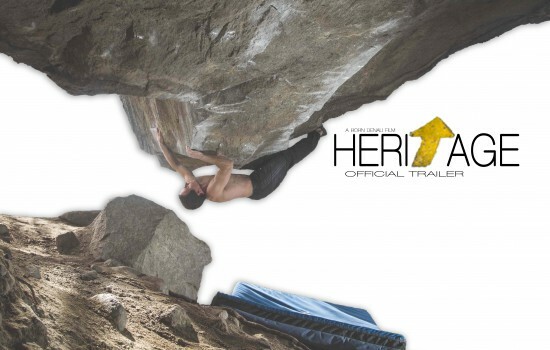 From my good friend Cameron Maier at Bear Cam Media comes a feature length bouldering film about our time in Vastervik, Sweden at the end of September. Great times with friends, tons of high quality boulders, and a few trips to the sauna! The trip was a blast. Check it out! After another day of coming agonizingly close to my current project in Brione yesterday and it was back to Valle Bavona today. This time in the company of Jan Hojer and his girlfriend Lulu. (I had the opportunity to meet and climb with Jan in Rocklands this past summer and I’m sure most are familiar with the incredible trip he had). 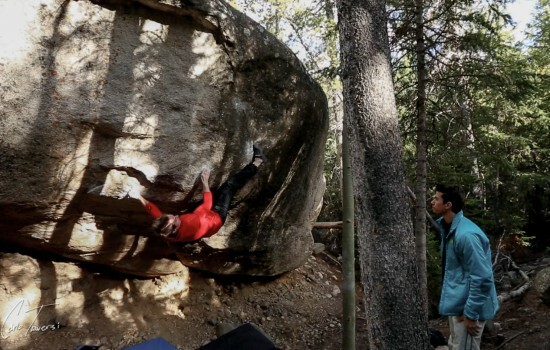 My main objective was to check out Nalle’s new climb Momentum and possibly give a few tries to the Cart Project made famous by Chris Sharma in one of the Big Up’s Dosage Films. In early October I, returned to one of my favorite climbing areas in the world. SWITZERLAND! This place is truly on another level. Scenery and rock quality are top notch. More quality lines than I will ever know what to do with. On rare occasions does the excitement of sending your project last more than a day before the next struggle begins. I’m happy to say that the next one for me is going to be a lot more difficult than the last. 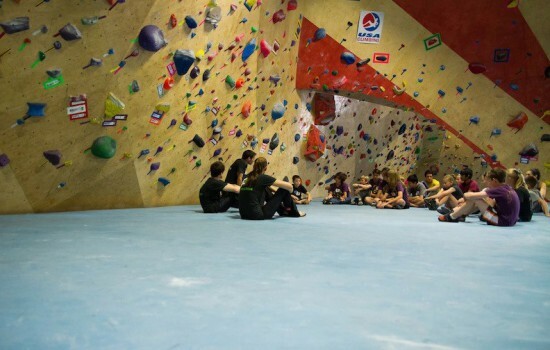 5 moves of pure power out a roof on flat edges and slopers. My favorite! A couple of weeks ago I headed out climbing with Dave Graham to check out a new area in RMNP called Wild Basin. It would be his second time up the canyon and our mission was to explore some of the upper talus fields that looked promising on Google Earth. Aside from staying in shape On The Circuit, editing video, and doing a little bit of skating; I’ve spent a few days over the last week hanging in a harness out in Clear Creek Canyon with Daniel Woods on his new “Mission Impossible Project”. The collection of boulders within close proximity to Bear Lake Road and the surrounding “road areas” around Estes Park are approaching legendary status. We call it “The Circuit”. For the last few weeks, I’ve been “On The Circuit” with Paul Robinson, Daniel Woods, Matty Hong, Jonny Hork, Dave Graham, Cameron Maier, and a host of other talented individuals. It has been amazing. Consumed by the forest, I’ve finally extracted myself for long enough to write a little post. First off, it’s been uncharacteristically warm here, so hard climbing has been difficult. I’ve been trying anyway, with very little success. It’s ok though. I’m getting much, much stronger trying hard in the warmth. Today, I had a breakthrough and finished Controle Technique 7C+ (V10) in Bas Cuvier. 7o degrees, in the sun, a few temper tantrums, and 50+ attempts later; it was in the bag. In regards to the really hard climbs. I’ve tried them. They are hard. I’ve gotten close. 2 weeks left. Time to execute. Fontainebleau, France! We are here, and it is wonderful. I can only wonder why it took me so long to get here and I can only wonder why I would ever want to leave. If you are unfortunate enough to have never traveled here, I can assure you that all the good things you’ve heard about the place are true to the power of 10. And all the bad things you may have heard are wrong. It’s that simple.